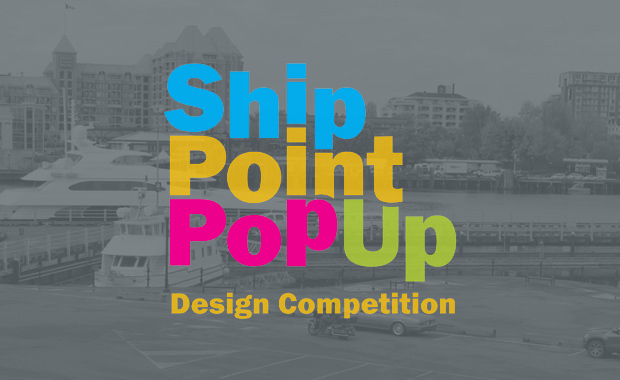 The Ship Point Pop-Up Design Competition is seeking for creative transformation solutions for City of Victoria’s Ship Point Plaza. The City of Victoria invites teams and individuals to submit creative design concepts to temporarily transform Ship Point Plaza, an underutilized paved plaza space along Victoria’s downtown waterfront, into a magnetic and memorable ‘pop-up’ public space during the 2016 summer season. The winning team will receive a $5,000 (CDN) award and funding to design, build and install Victoria’s newest summer hot spot, and up to $35,000 (CDN) toward design refinement, structural engineer review, materials, fabrication, installation and removal. The purpose of the Ship Point Pop-Up Design Competition is to make Ship Point Plaza a more vibrant, unique and welcoming space that will encourage people to socialize, explore and wander. The competition site — Ship Point Plaza — is located in downtown Victoria, Canada, at the heart of the Inner Harbour. The competition is open to anyone, however, criteria and submission requirements lend themselves to expertise in architecture, landscape architecture, urban design, industrial design, contemporary art and other related fields.